The US Securities and Exchange Commission (SEC) today announced the adoption of rules designed to substantially increase protections for investors who turn their money and securities over to broker-dealers registered with the SEC in accordance with a large number of regulators which are concentrating on ensuring that market participants ensure safekeeping of client assets. The United States authorities are very much concerned with the best interests of the consumer, and this ruling is no exception. The new rules, approved by a 3-2 Commission vote, require broker-dealers to file new reports with the Commission that should result in higher levels of compliance with the SEC’s financial responsibility rules. Broker-dealers are required to begin filing new quarterly reports with the SEC and annual reports with SIPC by the end of 2013. The requirement for broker-dealers to file annual reports with the SEC is effective June 1, 2014. Broker-dealers are generally entities that engage in the business of carrying out securities transactions either for someone else’s account or for their own account. 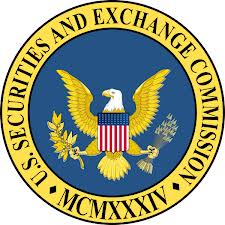 Under the federal securities laws, most entities engaged in these activities (with the notable exception of certain commercial banks) must register with the SEC and be subject to Commission rules. Broker-dealers must be members of at least one self-regulatory organization (SRO) such as the Financial Industry Regulatory Authority or a national securities exchange. How Are Customer Assets at Broker-Dealers Protected? Broker-dealers that maintain custody of a customer’s securities and cash are subject to strict requirements under the Exchange Act that are designed to protect and account for these assets. Customer Protection Rule (Rule 15c3-3) – Broker-dealers sometime use their own funds to conduct trades and other transactions. When engaging in such “proprietary business activities,” this rule prohibits broker-dealers from using customer securities and cash to finance their own business. By segregating customer securities and cash from a firm’s proprietary business activities, the rule increases the likelihood that customer assets will be readily available to be returned to customers if a broker-dealer fails. Quarterly Security Count Rule (Rule 17a-13) – This rule requires a broker-dealer on a quarterly basis to count, examine, and verify the securities it actually holds for customers and for itself. It must compare that count with the amounts of such securities it should be holding as indicated by its records. If there are differences between the actual amounts held and the amounts that records indicate should be held, the broker-dealer must take capital charges until the differences are resolved. Account Statement Rule – Each SRO has rules that require a broker-dealer to send a statement – at least quarterly – to each customer reflecting the customer’s securities and cash positions held at the broker-dealer, as well as the activity in the account. Currently, Section 17 of the Exchange Act and Rule 17a-5 together require a broker-dealer to file an annual report with the SEC and the SRO designated to examine that broker-dealer. The report must contain audited financial statements conducted by an independent public accountant registered with the PCAOB. Currently, Section 17(b) of the Exchange Act requires broker-dealers to submit to routine inspections and examinations by SEC staff and the relevant SRO. Firstly, the amendments require a broker-dealer to file a new quarterly report (called Form Custody) that contains information about whether and how it maintains custody of its customers’ securities and cash. The reports will establish a custody profile for the broker-dealer that examiners can use as a starting point to focus their custody examinations. Second, the amendments require broker-dealers – regardless of whether they have custody of their clients’ assets – to agree to allow SEC or SRO staff to review the work papers of the independent public accountant if it’s requested in writing for purposes of an examination of the broker-dealer. They must allow the accountant to discuss its findings with the examiners. In 2010, the SEC adopted Rule 206(4)-2 under the Investment Advisers Act of 1940, indicating what an investment adviser or its affiliate must do if it is a qualified custodian of its client funds and securities. In those situations, the adviser must obtain annually (or receive from its related person as defined by Rule 206(4)(2)) a written internal control report prepared by an accountant registered with, and subject to regular inspection by, the PCAOB. This report must be supported by the accountant’s examination of the qualified custodian’s custody controls. The SEC has determined that the independent public accountant’s report based on an examination of the compliance report will satisfy the internal control report requirement under Rule 206(4)-2. In this way, the rule changes better align the controls that relate to protection of customer assets of both broker-dealers and investment advisers. The effective date for the requirement to file Form Custody and the requirement to file annual reports with SIPC is Dec. 31, 2013. The effective date for the requirements relating to broker-dealer annual reports is June 1, 2014.